Happy Days! Opera in the Paddock is coming to Inverell in September 2018 and we are already taking bookings at the Inverell Motel. You can’t miss this opportunity to spend an exciting evening under the stars enjoying one of the best performances of the year! When September rolls around it will be too late to book your Inverell accommodation because all the motels and hotels in Inverell will be booked solid. This is a unique experience that doesn’t come around very often, so pick up the phone, call your family and friends and make that booking! This Inverell Gala Event features internationally acclaimed bass baritone Teddy Tahu Rhodes from New Zealand, accompanied by Henry Choo from Melbourne who is one of Australia’s finest coloratura tenors, Ruth Strutt a mezzo soprano from Northern NSW and Peta Blyth a soprano who lives in Inverell. Rhodri Clarke – an outstanding pianist will also debut his talents at this prestigious event. The concert is on September 22nd at the Inverell Town Hall, commencing at 7.30pm and tickets are limited. Bookings for Opera in the Paddock open on May 24th, 2018 and tickets will sell fast – so it’s best to book your Opera tickets and your Inverell accommodation early, so you won’t be disappointed. 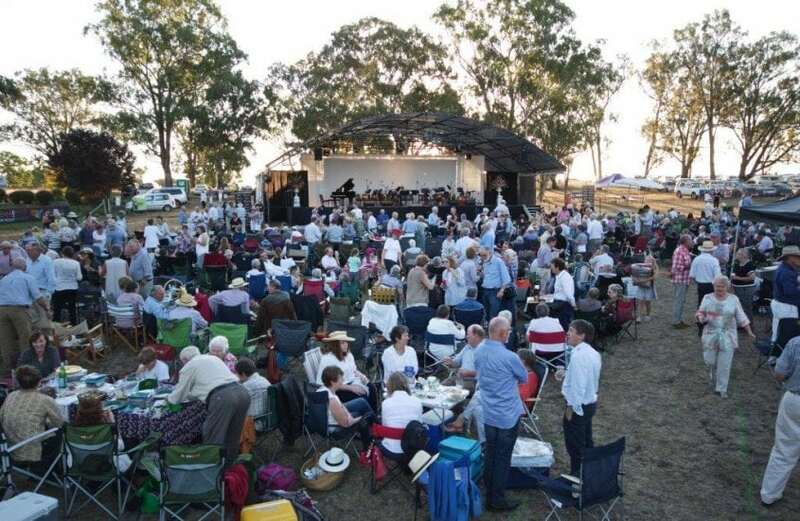 Opera in the Park is the brainchild of Peta Blyth and their first performance was held in a paddock at her family farming property in Inverell on March 22nd, 2002. This inaugural concert was a smash hit and featured not only Peta herself, but also tenor David Hamilton, pianist David Miller and flautist Paul Curtis. Celebrating their 10th anniversary in 2011, this extraordinary event featured an orchestra of twenty professionals, seven of Australia’s best opera singers, a pianist, didgeridoo soloist and a fireworks display! Since this momentous anniversary, Opera in the Paddock has gone from strength to strength and has become an important regional event bringing together friends and family from all over Australia, as well as many international visitors. If you are excited about this fabulous event, then don’t let the grass grow under your feet on this one. Contact us at the Inverell Motel and make your booking today, because this is truly the event of the year! Inverell Motel offers clean, affordable and convenient accommodation in the heart of Inverell CBD. Leave your car in our private car park and walk to restaurants, pubs, clubs, supermarkets, shops, parks, pools and so much more.